Jack Black Intensive Healing hand cream is great stuff. I've use a few of the Jack Black products and I liked them very much! Beartrap is SPOT ON with his advice, if you suffer with sore PAWS (sorry about that) Neutrogena Norwegian Formula is GREAT STUFF (you only use a tiny amount),you don't say what you do for a living,but if you work in the cold and wet (say a window cleaner) you HAVE to protect your hands from this type of exposure (wear gloves),also do what women do and put it on "last thing at night" that way it stays on your hands for the longest time. If you do this there will be a MASSIVE improvement.Just Google Neutrogena Intensive Hand Cream. PS keep your hands OUT of HOT WATER,that damages and dries them out terribly. Badger Balm! The name says it all. Made in New Hampshire. Go for huskers corn oil. I've always have lived by it and it's a must have for carpenters. aquaphor healing ointment works wonders! I have been liking the tubes of Crabtree & Evelyn that I "inherited" when my wife got hooked on L'Occitane. The latter has a 15% and 20% shea butter formula that is definitely moisturizing but I prefer the fragrances of the C&E. I recently developed eczema and my dermatologist had me buy "Cera Ve" and mix in a prescription steroid. It's thin and dries pretty quickly, and is also fragrance free. I don't think it's as moisturizing as the C&E or L'O, though. I use The Hand Stuff. Works great. This is my wife's pick. I like it too. Mild and agreeable scent, non greasy. I get it from Smallflower but it can be bought in other places. 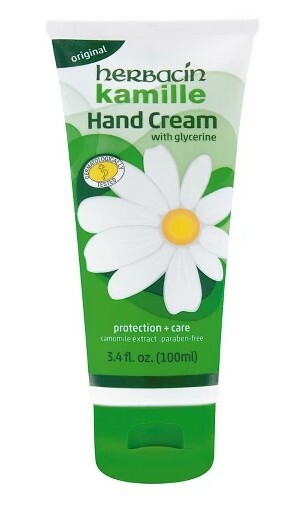 A little late to the game here, but Borage Therapy makes an outstanding hand cream. If I may digress on a related topic: foot cream. During the winter the skin of my heels becomes very dry, sort of crispy, but not to the point of cracking. I’ve found that The Body Shop Peppermint Foot Cream works very well and I don’t have to use it every day. I think that if I didn’t use this cream periodically over the winter my skin would end up cracking. I am a big fan of beeswax creams, but I am quite biased. Burts Bees and Badger both make beeswax salves. (06-08-2013, 08:11 PM)beartrap Wrote: Neutrogena Norwegian Hand Cream is very good. Inexpensive doesn't mean cheap. I find Gold Bond Ultimate Healing Hand Cream to be very effective for my dry hands, but I don’t have cracked skin. I particularly like that it is non-greasy. (06-09-2013, 08:10 AM)PanChango Wrote: Jack Black Intensive Healing hand cream is great stuff. Have you tried simply using a more moisturizing hand soap?